At first blush, fresh currants can be a little puzzling. They’re these beautiful little jewels that can be found in four colors—red, pink, white and black—and each has a distinct flavor. 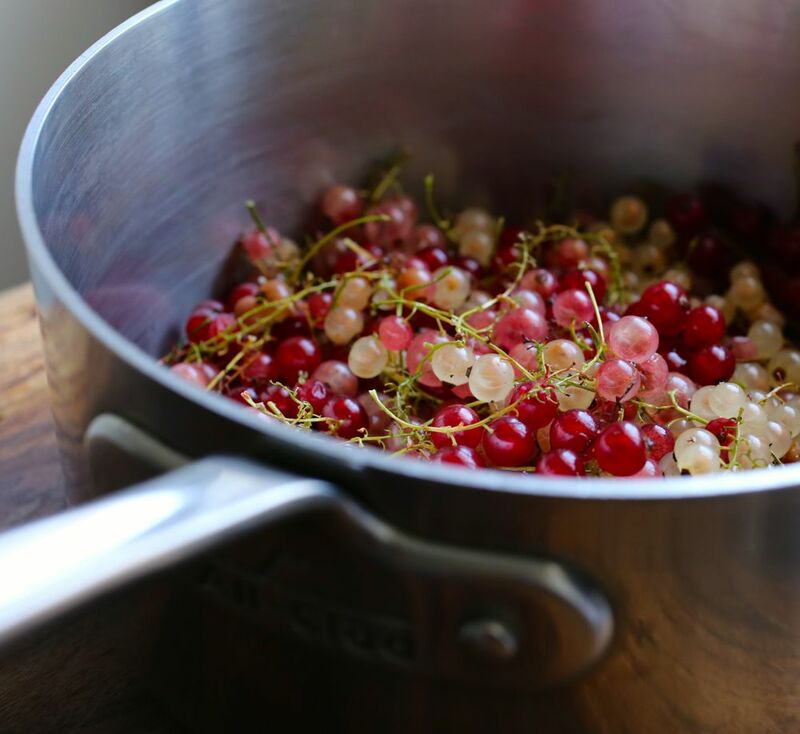 The red, pink and white currants—gooseberry’s close relatives—have a refreshing and sprightly flavor, with just a hint of sweetness. The European black currant, prized by the French who have used currants in every course of a meal to classic results, offers a musky sweet-tartness. But they’re around (usually at farmers markets) for only a few summer weeks and often gone before you know what to do with them. Not wanting to miss the opportunity of experimenting with them this summer, every week I’ve seen them at the market I’ve taken a few pints home to try them out in a variety of ways. So far, I’ve sprinkled fresh currants on cereal and have used them to make lemonade, jam, a lovely quinoa salad, and a mixed currant vinaigrette to accompany this light and refreshing watermelon salad, perfect for a warm summer day. This salad is easy to make, comes together fairly quickly, and is filled with interesting textures and flavors. 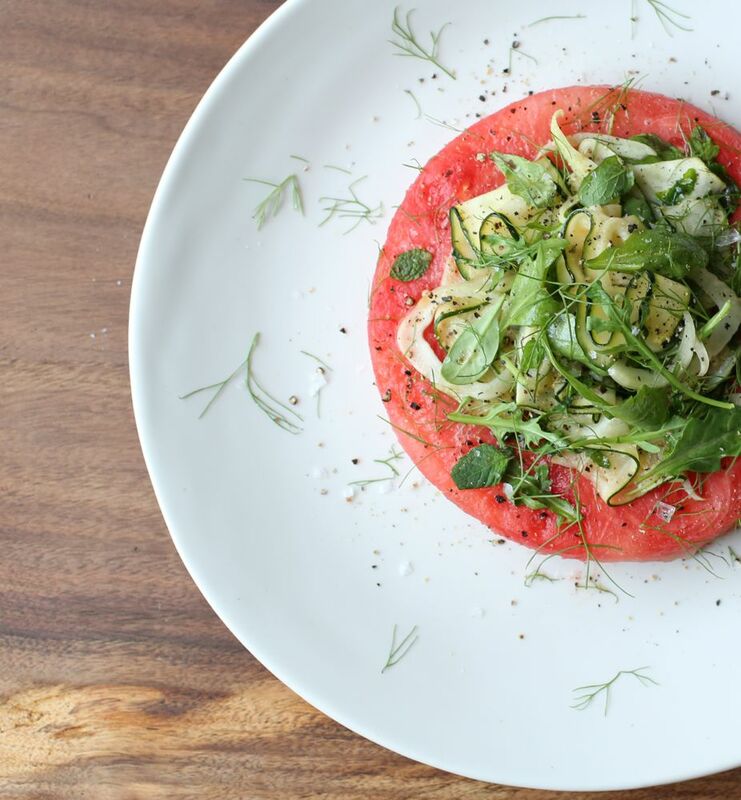 Watermelon provides a nice base for arugula’s peppery bite. Courgette (zucchini) and fennel normally need to be cooked to release their stronger tones, but in the raw the other ingredients help to draw out their delicate personalities. I used a mandolin to slice both the courgette and fennel, but if a sharp knife is what you have, that will work too. And the currants? The salad is tossed in a mixed (red, white and pink) currant vinaigrette. If you can’t find fresh currants right now, don’t worry; this salad can also be made with a simple lemon or balsamic vinaigrette instead. 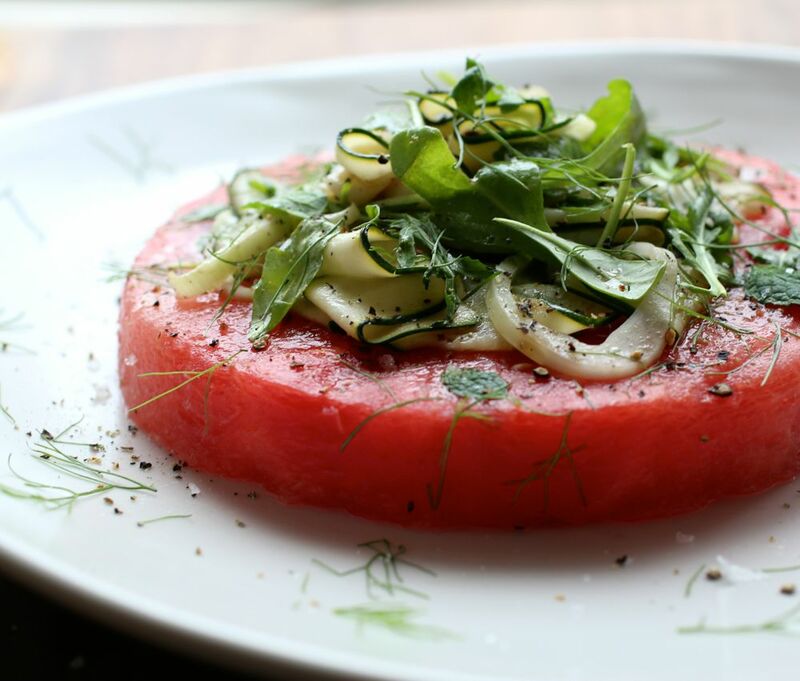 After making the larger salad, I thought this salad would make a nice appetizer to a summer party, barbecue or picnic. 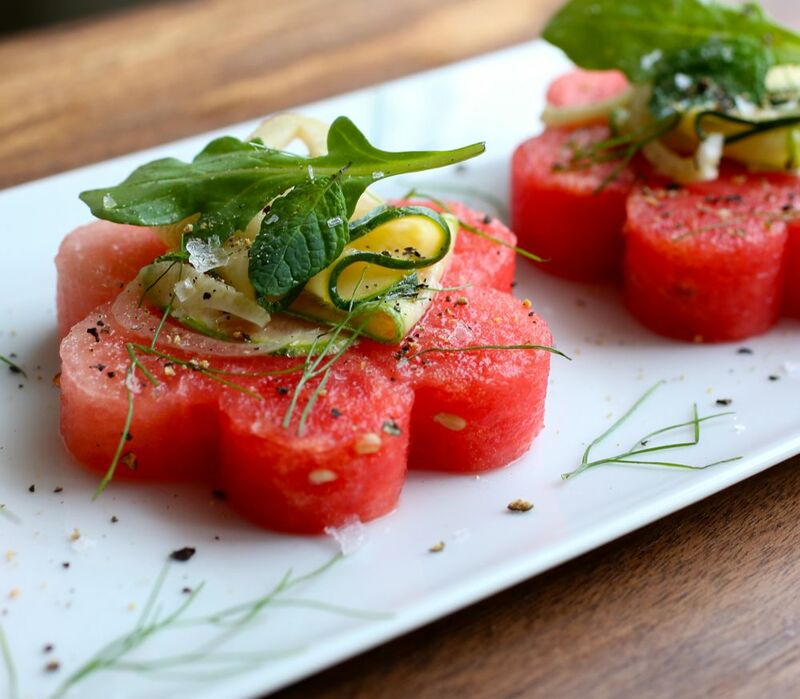 I used a cookie cutter to cut out small pieces of the watermelon, then carefully topped each slice with salad and herbs. Watermelon salads often include feta cheese. Although a wonderful flavor companion to watermelon, I opted not to add feta as I wanted to keep this salad as light as possible and vegan. If you feel you want a little protein, try tossing in a few toasted sliced almonds in the mix. 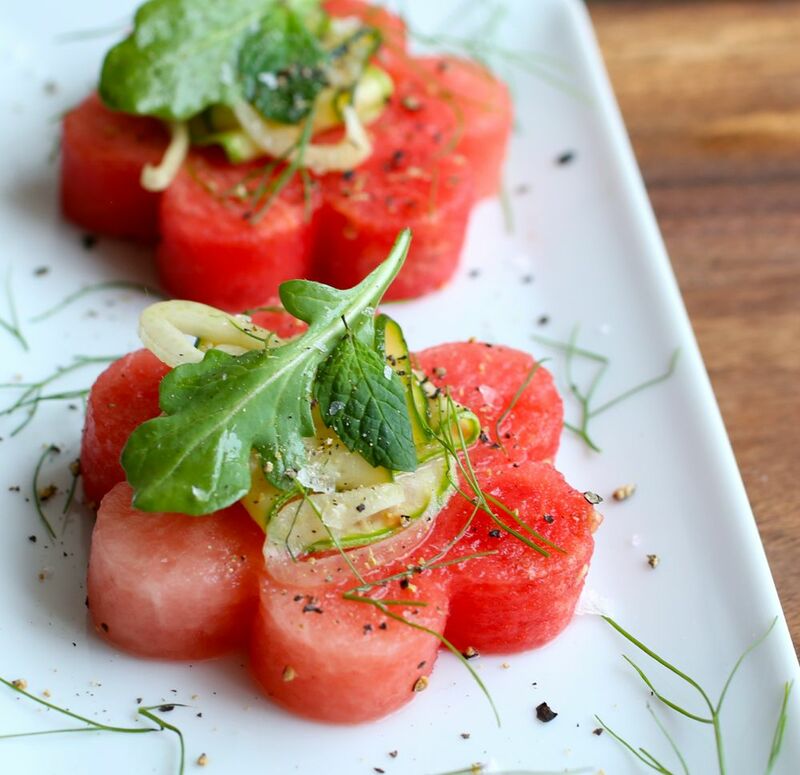 Also, if you don’t have a ripe watermelon on hand, or if watermelon is just not your thing, the green salad that tops the sliced watermelon can easily stand on it’s own. Make the vinaigrette. In a small bowl whisk all ingredients together. Taste and adjust if necessary. Set aside. Use a mandolin or vegetable peeler to slice thin ribbons of courgette (zucchini). Slice the fennel very thinly in the same way. In a medium sized bowl, toss both with a little vinaigrette. In a separate bowl toss arugula a little vinaigrette. More vinaigrette can always be added later so I prefer to add a little at first. Lay sliced watermelon on a large plate. Carefully assemble arugula, courgettes and fennel on top. Drizzle more dressing if desired. Scatter over a little mint, basil, fennel fronds, flaky salt and freshly ground pepper. Currant syrup can be used in a variety of foods and elegant desserts. You can use it to make a currant sorbet or just drizzle some syrup over fresh summer fruit. It can also be used to make a refreshing pitcher of Currant Lemonade. 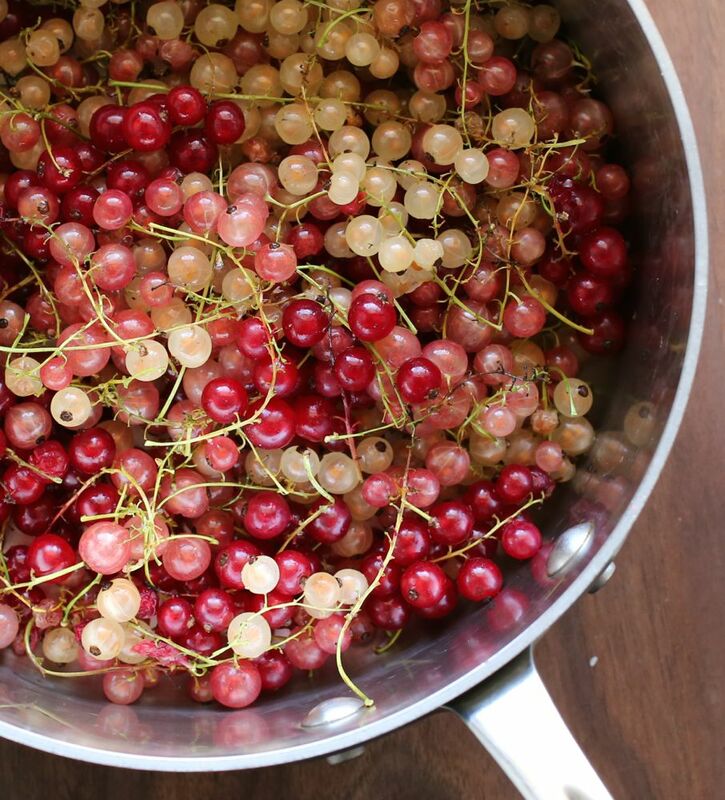 Rinse the currants and put them in a large pot, stems and all. Add sugar and water and bring to a boil. Cook until currants have softened and are wilted, about 2 minutes. Remove from heat and gently press any unbroken berries against the side of the pot using the back of a spoon. Allow the berries to steep for 15-20 minutes. Use a fine mesh sieve to strain out stems and seeds. Allow to cool and use as desired. Absolutely gorgeous, Martine! I love everything about it. Unfortunately, I am yet to see fresh currants at our local markets. Thank you Fae! I hope you’ll find them before summer is over. I’ve really enjoyed finding different ways to use them. Good luck! 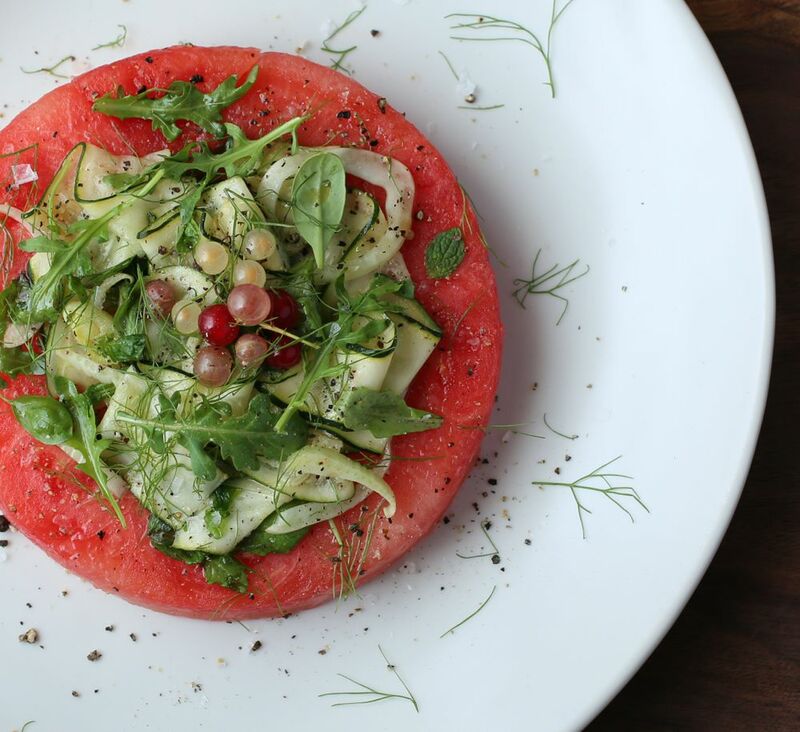 Watermelon salads are often underrated. We love them! This is a unique recipe! Thank you. 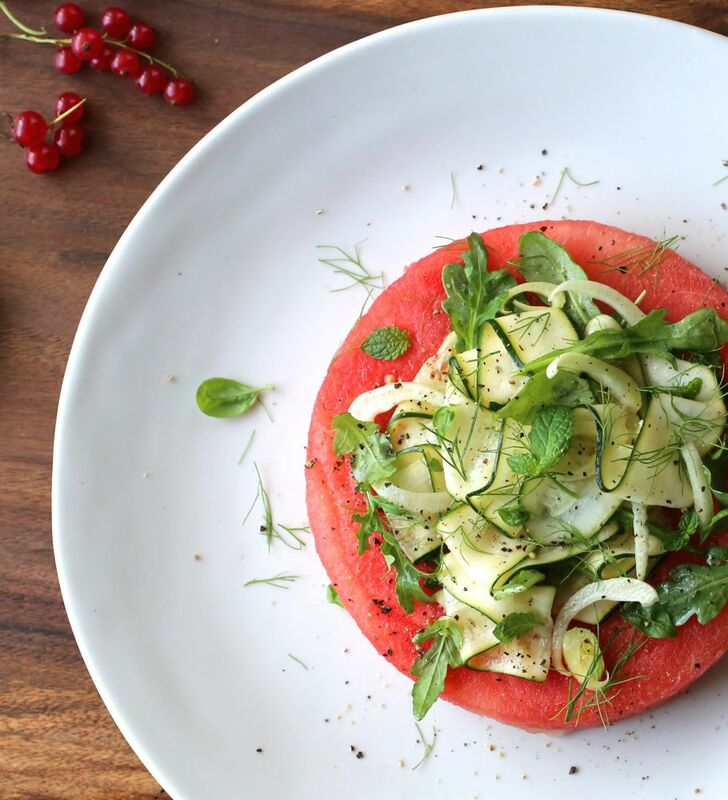 Yes, watermelon salads are underrated. So refreshing in the summer! We’re also missing summer fruits, especially berries…..